I recently had the privilege to interview Stellar Award winning gospel music powerhouse, pastor, bishop and founder of the Full Gospel Baptist Church Fellowship, and CEO of Tehillah Music Group, Bishop Paul S. Morton. 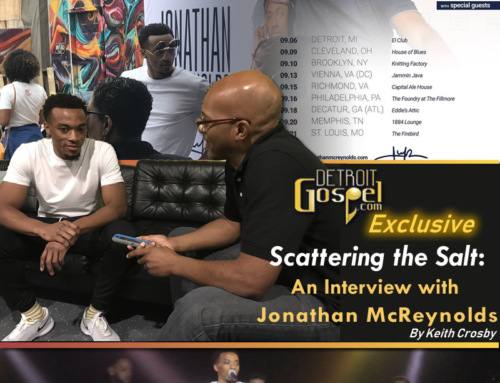 I caught up with him a few weeks before the Stellar Awards and asked him about his 6 nominations, blockbuster CD, “Let It Rain,” his hot new release, “Seasons Change,” working with the Queen of Soul, Aretha Franklin, and more. Bishop Morton has since won 3 Stellar Awards at the 20th Annual Stellar Awards in January, 2005, and been announced as a 2005 inductee into the International Gospel Music Hall of Fame and Museum (to be held in Detroit in October, 2005). Chatting with Bishop Morton was truly a delight. 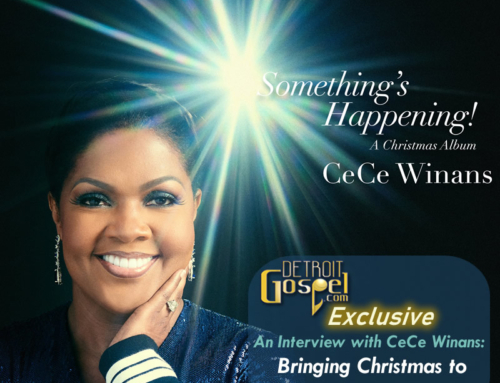 He was very open, sincere, and humble in light of all the success he’s had in gospel music, ministry, and business. Check out what this awesome man of God had to say. DG.com: First of all, were you really born in Windsor, Ontario? BPM: I love the title cut and of course appreciate the Queen of Soul. She is a great gift. There is really a message in the theme song because I think people get stuck in their season and even this time of the year they get depressed and get down. People need to know that seasons change, it’s not going to always remain the same, and if they can understand that then victory is going to be in their lives. So that’s why we try to have a message in every song we do. Then I wanted to bring even variety, a good quartet song with Keith “Wonderboy” and Paul Porter, just going in a different way. I guess in the back of my mind I always wanted to do a quartet song. So it was definitely exciting for us. Then there’s contemporary, traditional – there’s something really on the CD for everybody. DG.com: How difficult is it to package a CD with traditional and contemporary together? BPM: I guess I’ve been so long into ministry and ministry is meeting needs. I don’t want to leave anybody left out. There is so much that you give as it relates to a message in a song. Sometimes people won’t listen to preaching but they will listen to a song. Why miss the young people, why miss the seniors, why miss the quartet crowd? You gotta try to reach everybody and I think you can when you’re sensitive to people. You know in the gospel world now, ‘hey, this is just my audience and this is who I’m gonna reach.’ I try to do as Jabez said, expand my territory. DG.com: What was it like working with the Queen of Soul, Aretha Franklin? BPM: A blessing. I spent some time with her now even as her spiritual advisor, consulting her spiritually in some things. We really hooked up about 2 years ago when she was doing her VH1 diva special. She had heard one of my CDs and she said she wanted me to do “Precious Memories” with her and every since it has been precious memories. You know we had a relationship of course with her father when she was on the road and we played for Rev. C.L. Franklin. My brother Bishop James Morton was best friends with her brother Cecil. So it’s been a relationship for a long time, and she and James were close years ago. DG.com: Let’s talk about “Let It Rain” which was such a huge success. BPM: We are grateful. “Let It Rain” is still being played. People are still buying it even though the new project is out. We are excited about that and we are honored to be a part of the Stellar Awards and be nominated for 6 Stellar Awards. That was exciting for us, but then again I wanted people to see, because there are a lot of people facing dry seasons, and when we talk about “Let It Rain” we talk about letting the blessings of the Lord come down. Just getting rid of dry things in your life, dry poverty, sickness, whatever it is, and so I think people were able to relate to the song. I think that is what was so special. DG.com: Over the years, who have been some of your biggest musical influences? BPM: From the beginning, of course, would be the one who produced my first CD, Thomas Whitfield. He was just a genius. I just believe he was a man ahead of his time. He was just on top of it so with the first CD, “Nothing But The Blood.” I just saw so much in him that blessed me. So he was a great influence on my life. Then staying Detroit, I’m just in love with the Winans. They are so unique in their gifts. Pastor Marvin Winans is awesome. Then of course me and BeBe are close, and CeCe has a special anointing on her that takes you right into the presence of God. She has had a lot of influence on my life. And I like people like Fred Hammond, because I believe he is the David or psalmist of the 21st century. I mean I just believe he is the new David that makes sure you get into the presence of God. DG.com: How difficult is it to do a new project after “Let It Rain” was so successful? BPM: The main thing that I focus on is giving God the glory in everything that I do. So whenever I come out with something new, ‘how high will it go on the charts?’ ‘will it be better than the last?’ Uh-uh, when you decide I just want God to get glory in whatever I do. That’s what I focus on and God turns around and blesses it. You got to learn it is in his hands. DG.com: What about the Full Gospel Baptist Church Fellowship International Conference moving back to New Orleans for 2005? Tell me about that. BPM: It is definitely going to be exciting. We went away for 4 years. You know New Orleans is the home base and we wanted to go 4 years to let others see what we were doing. It was such a blessing. We went north, south, east, and west, and we’re coming back to New Orleans July 12-15th. We are looking forward to it with great anticipation. We just invite all of those who share with you and love you. Tell ‘em to come on down. Come on to the South. 8. Can You Come Today?